Hurst is legendary for the short throw shifters, and the white ball shift knob is iconic especially in the Ford Mustang. Their Competition/Plus shifter was a big hit for the 2005-2010 Mustang, and we expect Hurst’s new Billet/Plus shifter for the 2011 Mustang to be quite a success as well. The new shifter is actually much better constructed than the last generation Competition/Plus with CNC-machined 6061 T-6 billet aluminum construction with an anodized titanium color finish. The shifter reduces the throw by 37%, improves shifter feel, and removes the push down reverse lockout. “We got rid of all the isolation so it’s more of a direct link to the transmission,” said Kenji Takahashi, Hurst’s Vice President of Engingeering. The shifter comes with the legendary white ball, but it will also work with the stock handle and knob as well. 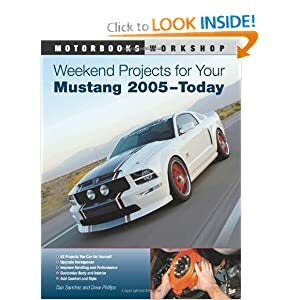 Hurst hasn’t announced pricing on the 2011 Mustang Billet/Plus quite yet, but it will be available starting in the Spring of 2011 so we should know by then. An automatic shifter will also be available that is currently still in the design phase. You can see photos of the new Billet/Plus shifter below.